Drug and alcohol use is a pertinent issue in any community, and understanding the types of substance problems and their environmental contributors is essential for understanding rehabilitative and treatment needs. 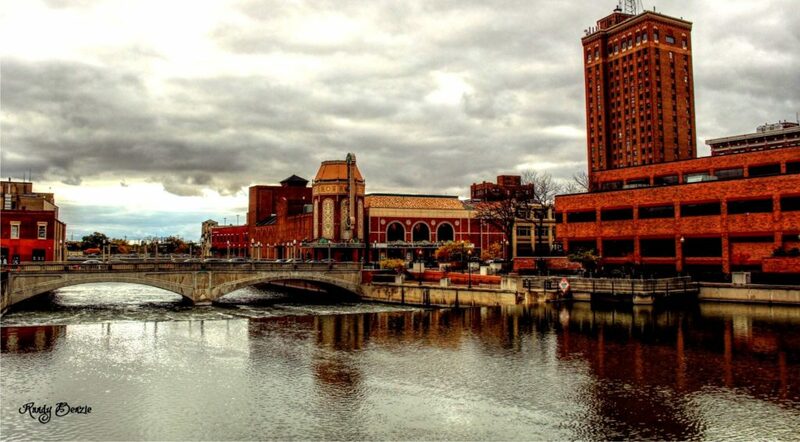 This article offers a discussion of drug and alcohol usage issues in Rockford, Illinois. Most commonly used drugs and ways in which drugs have impacted the community are discussed first, followed by methods of detecting drug and alcohol problems at the individual level. Finally, drug treatment and rehabilitation are considered. If you live in Rockford, and have fallen victim to substance abuse don’t hesitate to seek treatment. There are enormous resources in at your disposal. Rockford is a medium sized city of about 150,000 people, located in Winnebago County in North Central Illinois. The racial composition of the city is about 65% White, 21% African American, 16% Hispanic, 3% Asian, and the remainder primarily consisting of Native American, Pacific Islander, or unspecified racial backgrounds. The median income for both a household and family are well above the Federal poverty line at approximately $56,000 and $65,000, respectively. The median income for males and females is approximately $37,000 and $25,000, respectively. The per capita income is close to $20,000, or about $5,000 above the federal poverty line. About 11% of families and 14% of the total city population live below the poverty line, with 20% being under 18 years of age and 8% being over 65. High rates of drug and alcohol consumption, as well as crime, are often linked to low income levels. As Rockford does not face the same challenges with high percentages of the population living close to, or below, the federal poverty line, income does not appear to be a significant contributor to these issues in the city. However, the city does still face some struggles with drugs and alcohol. As with most communities in the United States, Rockford’s most pressing substance abuse problems consist of alcohol, marijuana, prescription based opiates, pure heroin, and cocaine. Rockford’s increasing problem with opiate based prescription narcotics and heroin are a reflection of high rates of addiction to these substances that are generally developed through legally prescribed painkillers. Patients who become addicted to these painkillers often eventually turn to the streets to obtain pure heroin because of its lower cost and easier access. As a result, treating heroin and opiate based painkiller addictions has become an increasing concern for the Rockford community and its drug and alcohol rehabilitation centers. Despite these issues with drug and alcohol usage, Rockford has a lower threat of death from drug usage than most cities. According to drugrehabilitation.net, just less than 12 individuals per 1000,000 die from drug usage in Rockford each year, which is under the national average of about 13 per 100,000. In Winnebago County, an increase in drug overdoses has been evidenced, with 126 people dying from overdoses in 2017, compared to 96 in 2016. Winnebago county has experienced a particularly notable increase in crimes, deaths, and overdoses related to opiates. As a result, substantial increases in costs associated with drug treatment have been encountered in the community as well. Much of the illicit drug use and trafficking in Rockford is driven by organized criminal groups, and the police recently implemented the biggest drug bust in Rockford’s history in 2016 when nearly $9 million in drugs were seized by law enforcement officials. Considerable research has been conducted on risk and protective factors for drug and alcohol use that have been used to promote more effective treatment and recovery efforts in the Rockford community. The National Institute on Drug Abuse has identities five general risk factors for drug and alcohol addiction, which include early aggressive behavior, a lack of parental supervision, substance abuse, drug availability, and poverty. These risk factors exist at different domains, including individual, family, peer, school, and community, respectively. As a result, the Rockford community itself does not serve as a strong environmental contributor to drug use because of its limited prevalence of poverty. However, drug availability and peer substance abuse still remain problems. It should be noted that risk factors are different at the individual level, and those noted previously are general in nature. A full assessment of risk is needed at the individual level to determine the likelihood that addiction, overdose, or death will occur. Drug abuse and addiction is believed to be a combination of a physical disease and chronic compulsive psychological disorder that is initiated by a combination of environmental, social, psychological, and genetic factors. Ultimately, the consumption of a drug and its associated pleasure response leads to repeated usage and causes physical dependency on that chemical to receive the same pleasure response over time. The need to induce this pleasure response is often a result of stress and physical and/or psychological pain. Some individuals also have a higher genetic susceptibility to consumer substances for the purpose of achieving this pleasure response as well. Identifying sigs of drug abuse and addiction is critical for Rockford community members to intervene as early as possible and prevent severe consequences like overdose and death. Physical signs of drug abuse and addiction can include changes in pupil dilation, marks on the skin from needle usage, burn marks on the mouth and finders, yellow skin from liver damage, sudden changes in body weight, sleep disturbances, sudden changes or differences in mood and affect, obsessive and compulsive behaviors, and paranoia. These signs differ markedly at the individual level and depending on which substance is consumed. Based on the large variance in signs of drug abuse and addiction, identifying whether or not someone is using depends largely on previous knowledge of that person’s typical behaviors, habits, and health. Therefore, family and friends each play critical roles in determining drug abuse and addiction and promoting early intervention. However, some signs are also general and apply across all individuals. General signs of drug addiction include reductions in school or work performance, changes in physical appearance, abnormal behavior, relationship changes or difficulties, changes in financial habits, appetite fluctuations, bloodshot eyes, and defensiveness when substance usage is discussed. Each of these signs should inspire friends or relatives to seek further information about usage and ways in which to potentially intervene. Substance addiction frequently begins through smaller environmental or social contributors to drug and alcohol use that result in more full-scale substance abuse behaviors. Drug and alcohol use is often precipitated by early aged drinking and tobacco consumption, which triggers the psychological and physical necessity to consume substances in order to receive a pleasure response from the brain. A combination of environmental factors and psychological stress or distress then lead to continued usage, which eventually causes a physical dependency on substances to achieve a pleasure response in the brain. Once physical dependency has been developed, drug and alcohol addiction is very difficult to manage and professional help is necessary in order to guide patients through the removal of chemical toxins and to facilitate the psychological and social support needed to manage addiction longitudinally. Fortunately, the community of Rockford has many highly regarded inpatient and outpatient treatment facilities that can meet the population’s drug and alcohol rehabilitation needs. However, regardless of the specific type of treatment and rehabilitation needs experienced by community members, each facility undergoes a relatively similar process and series of steps when directing patients through the recovery process. These include assessment, pre-intake, intake, detox, inpatient treatment, outpatient treatment, aftercare, and sober living. Each of these steps is discussed in more detail below. An assessment is the first stage in achieving recovery and liberation from drugs and alcohol. The purpose of this step is to determine if a substance usage disorder is present, its level of severity, and the most appropriate intervention for achieving recovery in that particular case. An assessment consist of a combination of interview questions with a professional evaluator and a series of standardized questionnaires that are designed to assess the nature and magnitude of drug and alcohol usage. Once the assessment has taken place and the professional has provided feedback, recommendations for treatment are made and a referral to a particular treatment center or intervention type is made. Once the referral to a particular treatment center, professional and/or intervention modality has been created, the pre-intake takes place. This stage of the drug and alcohol rehabilitation process involves another interview with a licensed drug and alcohol professional, counsellor, or physician. This time, the professional will collect information regarding mental and physical health history and recent drug and alcohol usage habits. The aim of the pre-intake process is to promote a more informed and evidence based intake session. The intake process in drug and alcohol rehabilitation involves a more in-depth interview that resembles psychological counselling session. During this session, a full medical and mental health history evaluation is completed by the professional and a physical and mental health screening may also take place given the nature of the substance abuse issue. An aim of the intake process is to eliminate shame or psychological aversion experienced by the patient with regards to seeking professional help for drugs and/or alcohol. Shame or aversion to seeking help can be a significant deterrent to the recovery process and eventually lead to relapse. Therefore, time will be spent identifying the physical nature of addiction and what can be expected when this chemical dependency has been removed from the patient’s life, such as improved mental health and relationships. In many cases, psychological recovery from addiction cannot be achieved until the physical dependency on a particular substance has been removed. This most frequently takes place through the administration of an alternative and closely monitored drug (e.g., methadone) that is designed to provide the psychological and chemical stimulation the patient previously depended upon while the body eliminates drug and alcohol toxins from the metabolism. This process can be associated with some psychological and physical challenges, such as depression and withdrawal, and close supervision by professional drug rehabilitation and chemical addictions specialists is essential for preventing relapse. Inpatient treatment may be necessary in the case of more severe physical addiction and involves full or partial residence in a licensed treatment facility. Full residential care is often needed following detoxification and can help provide patients with immediate access to professionals and intervention options as they navigate the extremely difficult early stages of recovery. Partial hospitalization and intensive outpatient are both less closely monitored variations of full residential care and allow the patient more autonomy in the regulation of treatment. In outpatient treatment, an emphasis is placed on developing psychological skills and social support to enable the patient cope with environmental and psychological contributors to usage themselves. Outpatient treatment allows the patient to engage in regular daily living activities while still receiving treatment for serious addiction. Outpatient care is an initial treatment option for many forms of addiction and an extension of inpatient care in the case of more severe cases. Aftercare is a phase of drug and alcohol treatment that emphasizes relapse prevention and continued psychological skill development. Continued treatment is necessary to provide patients with ongoing social support as well and can play a critical role in preventing the psychological desire or urge to consume substances. A tailored aftercare plan is important for promoting long-term sober living. Sober living is a philosophy of achieving satisfaction and fulfilment in life without the need to consume substances. In some cases, sober living homes are available to teach patients the coping skills they need to progress through life without addiction. However, this philosophy is intended to inspire all patients, whether within licensed facilities or on their own, to replace the urge to consume substances with healthier and more fulfilling activities and to understand and prevent those factors that contribute to relapse. The purpose of this article was to discuss drug and alcohol usage and trends in Rockford, Illinois. Most commonly used substances in the community and ways in which to detect substance addiction were considered first, followed by drug and treatment and rehabilitation options in the community. Based on the evidence presented within, it is clear that Rockford is a relatively healthy and drug-free community compared to national standards, although there are some substance abuse problems that persist. Fortunately, many inpatient and outpatient treatment options that can help meet the recovery needs of community members facing all times of substance usage challenges.